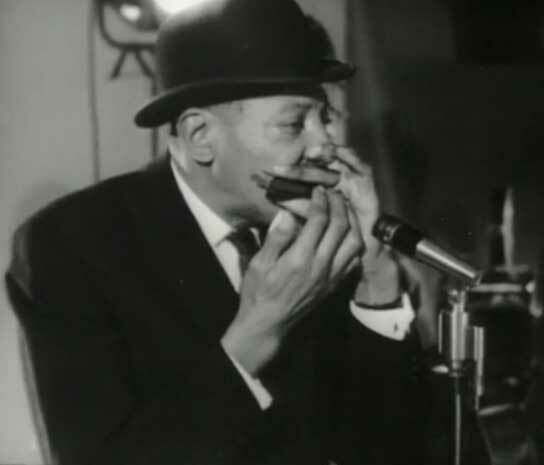 Born Alex Miller (born possibly 5th December 1912 – died 25th May 1965), known professionally as Sonny Boy Williamson, was an American blues harmonica player, singer and songwriter, from Mississippi. He is acknowledged as one of the most charismatic and influential blues musicians, with considerable prowess on the harmonica and creative songwriting skills. He recorded successfully in the 1950s and 1960s, and had a direct influence on later blues and rock performers. His head stone found in or near Tutwiler, Mississippi, lists his name as Aleck Miller, his birth date as March 11, 1908 and his date of death as June 23, 1965. Sonny Boy Williamson (c.1912-1965), one of the premier artists in blues history, was born on a Glendora plantation under the name Alex Miller. A colorful character and charismatic performer, he was widely known as “Rice” Miller or "Sonny Boy No. 2" - in deference to another bluesman who had recorded earlier as "Sonny Boy "Williamson. Miller’s mastery of the blues idiom resonated through all phases of his work as a singer, songwriter, and harmonica player. Sonny Boy Williamson was perhaps the greatest harmonica player ever born in the Mississippi Delta and one of the most remarkable and poetic blues composers as well. He left an impressive musical legacy through his recordings of “Eyesight to the Blind,” “Help Me,” “Your Funeral and My Trial,” “Fattening Frogs for Snakes,” “Nine Below Zero,” "Mighty Long Time," "Unseeing Eye," and many others made for Trumpet Records in Jackson (1951-1954) and the Chess/Checker company in Chicago (1957-1964). He was also the first star of blues radio broadcasting in the South, famed for his live performances on the influential King Biscuit Time radio show out of Helena, Arkansas, which began in 1941. Which Sonny Boy Williamson ? 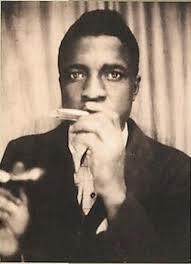 There is confusion between John Lee Curtis "Sonny Boy" Williamson (1914-1948) the original Sonny Boy Williamson and Alex Miller (1912-1965) also known as Rice Miller and Sonny Boy Williamson II. Both were influential blues artists and both played harmonica. King Biscuit Time is the longest-running daily radio show in history, and is broadcast daily on Delta Broadcasting’s KFFA 1360 AM in Helena, Arkansas. First broadcast on 21st November 1941, King Biscuit Time featured legendary blues artists Sonny Boy Williamson (Alex Miller) and Robert Jr. Lockwood playing live in the studio. The show was named after the locally distributed King Biscuit Flour. The distributor agreed to sponsor a radio production for Sonny Boy and his band if they agreed to endorse the flour. The original band, the King Biscuit Entertainers, often included boogie pianist Pinetop Perkins and James Peck Curtis on drums. It was the first regular radio show to feature blues and influenced four generations of delta blues artists and three generations of rock artists whose sounds are based on the blues. In keeping with its tradition of broadcasting live music from the studio, King Biscuit Time still welcomes artists in the studio almost weekly. "Bring It On Home" is a song written by American bassist-songwriter Willie Dixon. The first known recording of the song was by Sonny Boy Williamson II in 1963. The song was later recorded by Led Zeppelin in 1969, and has since been covered by many artists. Sonny Boy Williamson's version of the song was recorded on 11th January 1963 in Chicago, Illinois. Accompanying Williamson on vocals and harmonica were Matt "Guitar" Murphy on guitar, Milton Rector on bass, Al Duncan on drums, and either Lafayette Leake or Billy Emerson on an organ. Williamson's version was not released until three years later when it appeared on The Real Folk Blues in early 1966 and was released as a single. In 1969, English rock band Led Zeppelin recorded a version of the song for their album Led Zeppelin II. The intro and outro were deliberate homages to the Sonny Boy Williamson (Alex Miller) song, whereas the rest of the track was an original Jimmy Page/Robert Plant composition; however, Willie Dixon was not given a lyric writing credit for the song. In 1972, Arc Music, the publishing arm of Chess Records, brought a lawsuit against Led Zeppelin for copyright infringement over "Bring It On Home" and the case was settled out-of-court for an undisclosed sum. The thing with "Bring It On Home," there's only a tiny bit taken from Sonny Boy Williamson's version and we threw that in as a tribute to him. People say, "Oh, 'Bring It On Home' is stolen." Well, there's only a little bit in the song that relates to anything that had gone before it, just the end. Another version dating from 1972 is included on the live release How the West Was Won which listed the song as a medley on the cover. "Bring It On Home" was credited to Dixon, while the middle section named "Bring It On Back", was credited to Bonham/Jones/Page/Plant. 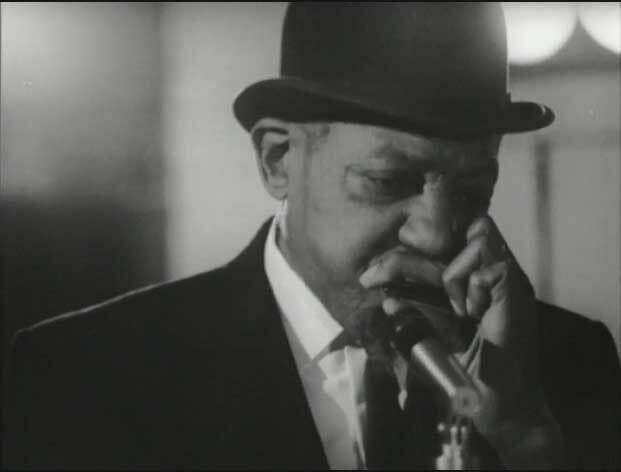 Blues Night presents rare footage of the harmonica blues player Sonny Boy Williamson. Introduction by B B King.